As spring gives way to summer, not only do fashions change but car lease deals change as well. For people looking to keep up with the weather, there is no better time to get into a new car than right now. Manufacturers and dealers are rolling out the sweetest deals of the season and now is the perfect time to lease the car of your dreams. 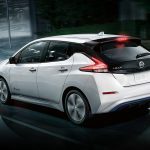 Recent U.S. News information in the New York Daily News found that cars like the 2014 Nissan Versa and Honda Civic are the most economical deals of the summer. And if you’re interested in one of these cars but still have several months left on your current lease contract, why wait to drive the car of your dreams? Getting out of a lease has never been easier! For individuals looking to transfer out of their car lease Swapalease.com is the ultimate online automotive marketplace facilitating this transfer process. 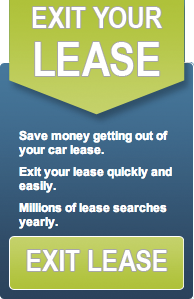 Swapalease.com matches a person wanting out of their auto lease with a person who is interested in taking over the remaining portion of the lease contract. The online marketplace has vehicles and customers in every state in the continental United States and Canada. Whether we like it or not, humans are visual people. If we are trying to find someone on Facebook, Twitter or Instagram and they do not have a profile picture chances are we will pass on their profile. The same can be said for cars. With online shopping becoming more and more popular, people are now opting to shop for cars online. People looking to transfer out of their lease should invest some time into choosing actual photos of their car to give them the best chances for transfer success. A recent article in Automotive News revealed that stock photos aren’t as convincing and engaging as real, professionally taken photos of a car. The evidence further suggests that color pictures fare better than black and white photos. Just as choosing the right profile picture for an online dating site is important, choosing the right car photo is just as important. The same characteristics that make for a successful personal profile picture can also be applied to vehicle profile pictures. Taking a good quality, color, non-pixelated picture can be the deciding factor whether someone will want to take on your lease. Having quality photos helps you move your car. This allows you to expedite your next car shopping experience. Whether you want out of your lease, time is money and you don’t want to spend any more time than you already have on your lease. The last thing you want to be thinking about after the death of a loved one is your car lease. But that was exactly the case recently for a woman who lost her husband of 60 years, reported by the LA Times. Death, however, is considered as an early termination of your contract, which can yield thousands of dollars in penalty fees. Already with a heavy heart, the widow now found herself with another bill, another worry to attend to. Toyota isn’t backing off either, explaining that the verbage is in the fine print and that the amount must be paid. Swapalease has a history of working with families in order to get a lease off the estate. Instead of dealing with financial collectors, you can transfer out of the lease contract and give the responsibility and the payment to someone else. That gives you the chance to deal with much more important matters. Whether it’s a family death, or a simple desire to opt out of your current lease and change to the newest vehicle technology, visit Swapalease.com or call 866-SWAPNOW.